The National Institutes of Health (NIH) recommends adults get 7-8 hours per night. Yet, nearly 30 percent of adults report an average of less than or equal to 6 hours of sleep per night. The Centers for Disease Control and Prevention (CDC) has deemed insufficient sleep a public health epidemic. Findings show sleeping 90 minutes less decreases daytime alertness by 32 percent. The National Sleep Foundation created a sleep recommendations chart to educate the public on suggested levels of sleep for individuals of all ages. However, this number does not account for the time it takes to fall asleep. 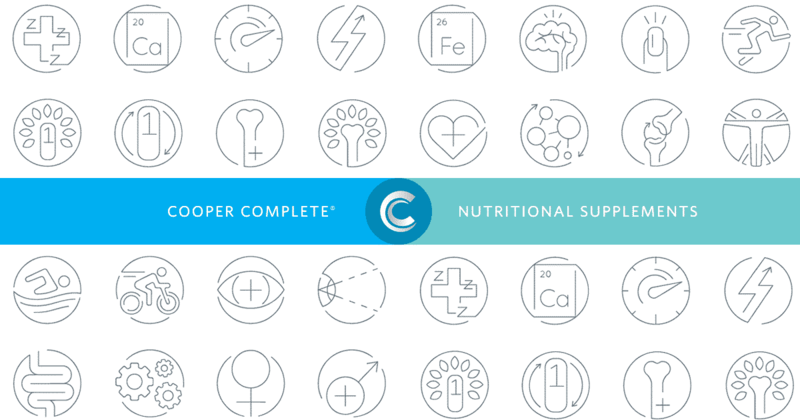 Cooper Complete’s line of supplements for sleep includes Quick Release Melatonin to help those who have difficulty falling asleep and Prolonged Release Melatonin for those who can fall asleep quickly but have difficulty staying asleep. Jet Lag: In several human studies, travelers who took melatonin for several days during and after their trip reduced the time it took to reestablish a normal sleep pattern. Overall, melatonin provides benefit for about half the people. Delayed Sleep Phase Syndrome is the scientific term for delayed weekend sleep pattern also known as DSPS. In one study, results revealed the time to fall asleep decreases from 60 minutes to 20 minutes when taking melatonin. Insomnia in the Elderly: Several human studies find benefits to taking melatonin before bedtime. For example, melatonin sleep supplements reduce time to fall asleep in elderly individuals with insomnia. In addition, improved sleep quality and morning alertness were results of using sleep supplements. Unfortunately, the studies were short in duration. 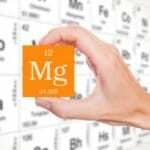 Magnesium plays a key role in the body’s sleep regulation. For sleep, the U.S. Department of Agriculture reports people with long-term lack of sleep often have low magnesium in their blood. Specifically, whole grains, nuts, legumes, leafy vegetables and low-fat milk are great food-based sources of magnesium. In a recent study, 100 adults took 320 mg of a magnesium citrate each night. Altogether, subjects reported a 37 percent improvement in sleep quality (based on self-reported feedback) compared to the placebo group. Cooper Complete offers magnesium in our Original Multivitamin, Basic One Multivitamin and Healthy Body Pack products to help ensure your body maintains optimal levels of magnesium in your diet. Insufficient sleep affects the hunger hormones, ghrelin and leptin. Ghrelin is the “appetite” hormone. It signals the brain that it is time to eat. If you are not getting enough sleep, your body makes more ghrelin. Leptin is the “fullness” hormone. Leptin tells your brain you are full. In addition, when your leptin levels plummet from sleep-deprivation, your brain is slow to receive the cue to stop eating. According to the Harvard Women’s Health Watch, chronic sleep deprivation may cause weight gain. For example, science has shown that fat cells need sleep to function properly. Lack of sleep changes how the body stores carbohydrates and alters hormone levels. A University of Chicago study discovered lack of sleep reduced the response to insulin. Low energy and an increase in weight result from a lower response. Lack of sleep increases blood pressure and cortisol. University of Chicago study participants slept only four hours per night for six days in a row. Because of this, they developed high blood pressure and higher levels of the stress hormone cortisol. Fortunately, all the changes were reversed once the participants made up for the lost hours of sleep. As a reminder, your physician understands your health profile best. An important step is to talk to him/her about which supplements are best for you.